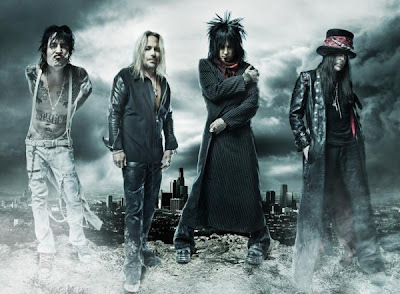 Get your 80s metal fix when Mötley Crüe makes a stop at Madison Square Garden on their Saints of Los Angeles Tour with Hinder, Last Vegas, and Theory of a Deadman. It’s good to see that a classic 80s rock act can still pack em’ in at a venue of this size. The owner of Go!Go! Curry is obsessed with the Yankees Hideki Matsui and his Jersey (55). The menu’s theme is baseball and katsu, a fried meat, chicken, or shrimp cutlet served in a curry sauce is the specialty here. Portion sizes are Walk (small), Single (Med. ), Double (L), and Triple (XL) and are inexpensive. The mascot, a gorilla for some reason, is plastered everywhere, making this place even quirkier. In the heart of the garment district, Stitch, a cozy after-work bar/lounge, stocks a cocktail menu with a design theme. If you still have energy and are in the mood to bowl, check out Leisure Time Bowl. Located in the Port Authority, this place is stylish and fun.